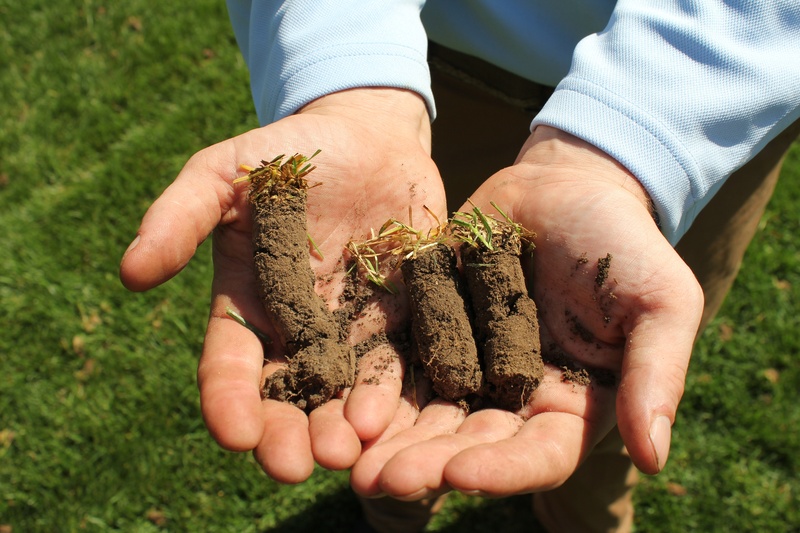 This week, we are going to chat about core aerations. Quite often this is a service that is called “The Best thing you can do for your lawn!” From simply reducing the compaction of your lawn, to reducing the thatch layer, helping with insect deterrents, better water distribution, healthier grass growth and even helping with weeds - a core aeration is a must for every lawn! As your lawn grows, it can accumulate a thick layer of thatch on the surface of the soil. Thatch consists of a tight network of roots (rhizomes and/or stolons) and looks like a thick fibrous mat. This thatch layer acts as a barrier, blocking the movement of air, water and fertilizers into the root zone. By aerating your lawn annually the thatch layer is routinely broken up and the soil cores that are pulled up break apart on the lawn surface mixing with the thatch modifying it into something closer to soil than thatch. The soil cores are also full of microorganisms that help to speed up the breakdown of that thatch layer. The thatch layer is the perfect environment for disease organisms and insect pests. A variety of bugs thrive in a thick thatch layer and a variety of fungi can be found within a thatch layer. By keeping your thatch layer to a minimum you will reduce turf damage from insects and disease without the use of any pesticides. Thatch accumulation can also be dramatically accelerated when the soil of a lawn is compacted. 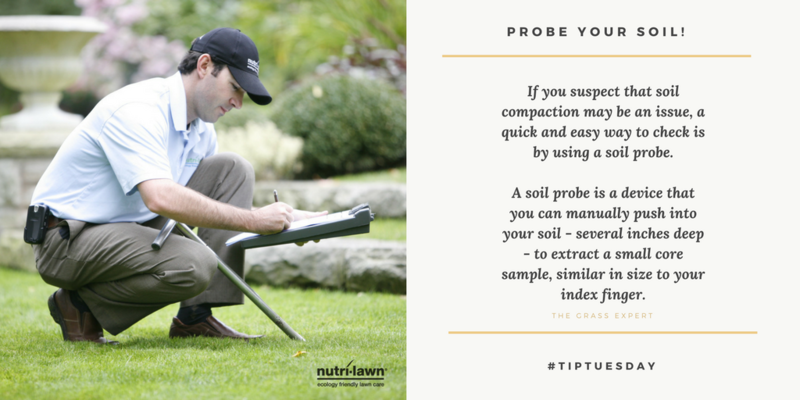 A compacted soil results in water and fertilizer sitting on the surface of soil and this causes the roots of the lawn to grow on the surface, rapidly creating a thatch layer problem. Core aeration breaks up compacted soil allowing water, fertilizer and air to penetrate deep which results in deep rooting of the lawn. In a lawn with a compacted soil, as mentioned, most of the root growth occurs close to the surface creating a lawn that is highly susceptible to summer drought. Aeration opens up the soil so water, fertilizers and air can penetrate deep, encouraging roots to grow deep, resulting in a lawn better able to tolerate the periods of summer drought. Compacted soils or a thick thatch layer halt the penetration of the water into the soil. Thatch layers can become hydrophobic, repelling water and making it almost impossible to get water down into the root zone. On compacted or thatched lawns that have a slope, water just runs down the slope rather than seeping into the soil. Aerating opens up the soil and allows water to penetrate deep into the root zone rather than running down the hill or into the storm sewer. If you have root feeding insects in your lawn, like European Chafer (white grub), then it is important to keep your thatch layer to a minimum. Insect control products can become trapped in the thatch layer and fail to get down into the root zone where the insects are feeding. This results in poor insect control which generally translates into lawn damage. 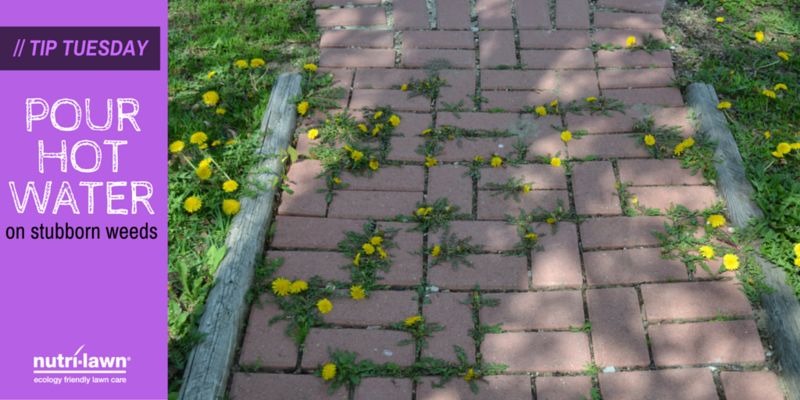 Many weeds can tolerate compacted soils better than turfgrass. If your lawn is compacted it can result in an environment that is more conducive to weed growth than grass growth. By aerating a lawn and alleviating any soil compaction, the weeds that perform well in compacted soil lose the competitive advantage and the grass thrives. Normally, an annual aeration is sufficient for good healthy grass. Heavily compacted soils may require additional aeration in the fall, once the summer temperatures have subsided. Our expert Turf Specialists can advise you on what is needed for your lawn. Your lawn must have adequate moisture content in order for aeration to be effective, so we may ask you to water in advance of aerating if seasonal conditions make it necessary. Once an aeration has been completed, it is the perfect time to seed your lawn! The removal of the cores from your lawn and the exposed soil create the perfect timing for seeds to be laid and flourish. The better the seed-to-soil contact, the better the seeds will be able to grow - but more on that next time! In the meantime, call us today and schedule your Core Aeration! 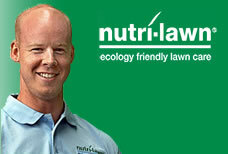 Your local Nutri-Lawn Vancouver experts are ready to answer all your questions and book your appointment today! Chat with us, Message us on Facebook or email us.